Here at the National Association of School Nurses, we LOVE volunteers! 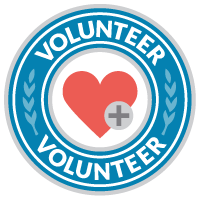 Volunteers are integral to NASN's mission. The goal of our volunteer software is to organize volunteer opportunities and offer a simple process for engaging volunteers. Volunteer opportunities range from small tasks to leadership positions; from tasks that can be completed virtually to those involving travel. The numbered items on this page explain the key components of the volunteer software. Opt in to the Volunteer Pool. a list of opportunities you have completed. Set your interests and preferences to be matched to open opportunities. Set "Invite me to volunteer when opportunities match my expertise?" to YES to be notified of open opportunities. Most opportunities are visible for viewing but will require logging in to apply. View a list of Volunteer Opportunities. Please direct questions, comments and/or suggestions to NASN.